The VIEWS Board of Editors functions as a council for recruiting contributors to VIEWS, giving input on current publishing practice and new features, and reviewing English and ASL submissions to the publication. RID is very fortunate to have acquired some highly qualified guidance – the following individuals have agreed to give generously of their time and expertise, towards making VIEWS a publication that we can be proud of. If you are interested in contributing to VIEWS by joining the Board of Editors, we welcome those who are interested in academic discourse and have experience in writing and publishing, and especially those who are embedded in the Deaf/interpreting communities and passionate about the progress of the interpreting profession. You can see more about the responsibilities of the Board of Editors HERE. Please direct any inquiries to VIEWS@rid.org. 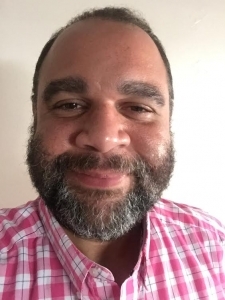 Michael B Ballard, ABD is an assistant professor in the department of American Sign Language and Interpreter Education at Eastern Kentucky University. He holds degrees in communication and leadership from the University of Colorado and Gonzaga University respectively. In addition to his professorship, he is currently working on his doctoral dissertation. In addition to classroom settings, Michael provides cultural workshops and consultations. When not working in academia, Michael enjoys spending time with his family, outdoor cooking, and bonfires. Dale H. Boam, CI, Attorney at Law, is an Associate Professor of Deaf Studies at Utah Valley University, an attorney advocating for the rights of persons who are Deaf, an interpreter, and a blogger at “Uncle Dale’s Rules for Interpreters”. He consults and presents nationally on both interpreting and legal topics, including: the physiology of interpreting; the physics of processing time; cohesion and orphans in interpretation; legal rights of individuals with disabilities: law, Deafness, and personhood; voting; making the ADA effective for the Deaf community; and attorneys serving a client who is Deaf. Dale recently received a favorable decision from the Ninth Circuit Court that makes Section 504 more accessible to persons who are Deaf (See Ervine v. Desert View Regional Medical Center). Dale has served in advisory committees for the NAD, the organizing board for Deaf Studies, Today!, and the 2007 Deaflympic Games. Kelly Brakenhoff, NIC, is a community interpreter and EIPA evaluator from Lincoln, Nebraska where most of her private practice work is in higher education, medical, and VR settings. Her motivation for learning ASL began in high school when she wanted to converse with her Deaf friends. 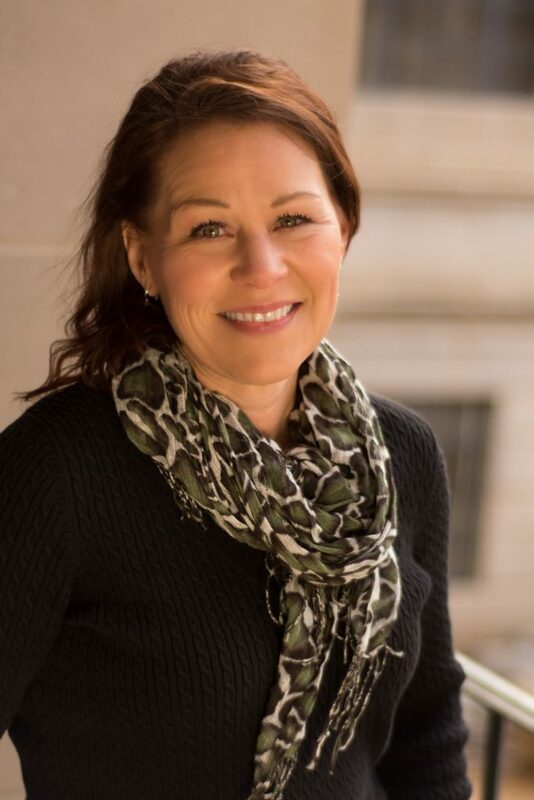 A scone baker, chocolate lover, wife, and mother of four young adults, Kelly has written three mystery novels set at a fictional college in Nebraska which will hopefully be coming to a bookstore near you soon. When she’s not writing or interpreting, she runs half-marathons and cheers on her favorite University of Nebraska Husker athletic teams. 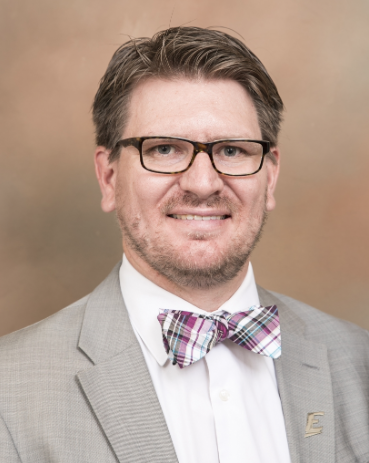 Royce Carpenter, M.A., NIC Master, is assistant professor and coordinator in the Interpreter Education Program at Columbus State Community College. She interprets in a variety of settings. Royce has worked in the role of VRS interpreter, conference interpreter, workshop presenter, conference coordinator, and mentor. Royce holds a RID NIC Master certification, an Associate’s degree in Interpreting/Transliterating from Columbus State Community College, a Bachelor’s degree in Organizational Management from Wilberforce University, and a Master’s degree in Interpreting Studies from Western Oregon University. In August 2017, Royce traveled to Ghana to teach at the University of Education, Winneba with an amazing team from Western Oregon University. Jami Macdonald is a freelance and higher education ASL interpreter. She holds a Bachelor of Arts degree in American Sign Language and Interpreting, as well as a Bachelor of Arts degree in Spanish from Liberty University in Virginia. The local Deaf community and their gracious investment in sharing their language and their community have been an integral part of formal education and her personal life. 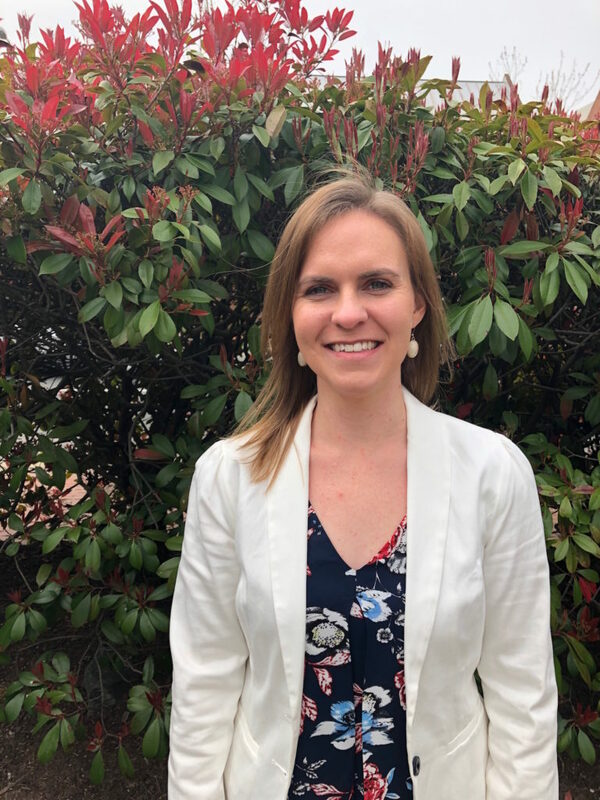 Jami’s professional experience includes interpreting in elementary, secondary, and post-secondary education settings, as well as community and theater settings. On several occasions, she has enjoyed the opportunity to serve as a Spanish-English translator and/or interpreter abroad. Jami is a member of RID, VRID (also having served on the VRID Mentorship Task Force during its term), the Association of Visual Language Interpreters of Canada (AVLIC), and provincial affiliate chapter. She was instrumental in having Liberty University’s Interpreter Education Program recognized by AVLIC thus gaining international recognition for the program. Jami feels honored to participate in this opportunity to serve on the Board of Editors for RID’s VIEWS publication. Her passions include writing, research, and continued learning. Her research interests include vicarious trauma and mentorship within the interpreting profession. When she isn’t working on academic interests, Jami enjoys traveling and exploring the great outdoors with her camera in hand. 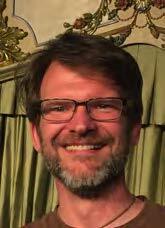 Jonathan Webb, CI and CT, NIC Advanced, author of KG: The South, is currently a lecturer in the Department of World Languages & Cultures at Iowa State University, where he was invited to develop a program in American Sign Language & Deaf Culture, as well as foster greater inclusion for Deaf students across campus. He has worked as an ASL/English interpreter primarily in the states of Missouri, Utah, Hawai’i, Iowa, California and Nevada. Jonathan’s language was born out of primarily the Black Deaf Community of St. Louis, MO and interpreter mentors. Over the years he has specialized in visual-gestural oriented interpretation as well as mental health interpreting while having gained copious experience and training in medical, legal, and higher ed settings. Beyond teaching ASL and ASL/English interpreting, Jonathan also facilitates experiential trainings on issues significant to social justice, from systems of oppression to navigating difficult/necessary dialogues, through a balanced academic and grassroots lens of liberation and love. He currently lives in Anaheim, California where he enjoys the ocean and sunshine with his family. earned her Master’s degree in Communication, Culture & Technology from Georgetown University in Washington, DC. Her thesis focused on political socialization factors of the Deaf community in the 2016 Presidential election and the influence of new media accessibility on civic engagement. Julia is particularly interested in the intersection of the Deaf cultural narrative and the increasing use of assistive communication technologies. Previously, Julia worked as Editor-in-Chief of Georgetown’s gnovis journal, a student-led initiative for peer-reviewed publishing and intellectual discussion space. She also works as a part-time interpreter. 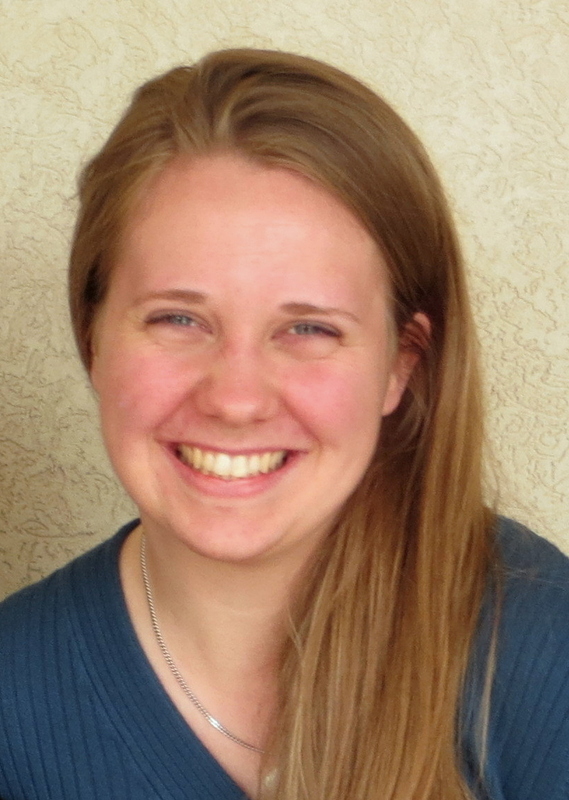 Julia came into the Deaf community through an outreach mission in Southern California, promoting language education and spiritual enrichment for underprivileged Deaf individuals. There she met her husband and followed him back to DC, where he was enrolled as a Gallaudet student. Julia grew up in a military family but calls the DC metro area home. She now lives in Vienna, VA with her husband and enjoys running, playing violin, crocheting, and adventuring with family. She is excited for the challenge of working with RID!